If Johnny Depp were a wine, he’d likely have a high alcohol content. There’s nothing subtle about him. The golden statue goes to the actor who gave the strongest performance, but we all know that he or she doesn’t carry the movie alone. It’s why there also are more golden statues for the best supporting cast. Such is the case with wine, as well. Here, the grape is obviously the star. We know wines by the type of grape used. But, there’s always a strong supporting cast, and the performance by alcohol will always make a difference. Here’s what you should know about how alcohol content will change what you taste in a wine. We’ve already established that the grape—or blend of grapes—is the star of the show, but wine assumes its flavor from other sources, too. Many of them directly impact the character of the grape. Weather, water, and sunlight will affect the sugar content of the grape. It’s why Chardonnay grapes grown in California taste different from the same grape grown in France. Another considerable contributor is yeast. In fact, it’s likely going to be a more important factor than what’s been mentioned so far. Yeast is introduced to the wine to convert the grape’s natural sugars into alcohol and carbon dioxide. The wine will remain sweeter if the yeast dies before it consumes all the sugars. The longer the yeast remains active, the more sugars are consumed, and the drier the wine becomes. This also will increase the alcohol content—remember that alcohol is the byproduct of yeast’s consumption of sugar. Blame it on the sugar? The amount of sugar available from the grape can determine the alcohol content. The sugars increase when grapes can fully mature—or ripen—with the assistance of optimal conditions. It shouldn’t be a surprise, then, that wines from California tend to have higher alcohol content than those from cooler climes. South America, Australia, Spain, and California wine producers have experienced increasing seasonal temperatures. This has brought about an increase in the sugar levels of grapes, which in turn produces wine with a higher alcohol level. To put this in perspective, the pinot noirs from Oregon have lower alcohol levels than their California pinot cousins because of the cooler climate. German Rieslings tend to have very low alcohol levels because the grapes struggle to ripen in this far northern location. Which brings us to alcohol. Experts tell us that alcohol doesn’t trigger receptors on our tongue, so technically, it has no taste. You’d think that logically, this means alcohol can’t affect the taste of wine. By itself, alcohol is an ineffective contributor. It’s what alcohol does when it interacts with the star of the show that gives alcohol the ability to exert amazing control. And it’s not necessarily through our taste buds, either. Alcohol quickly evaporates when exposed to air. 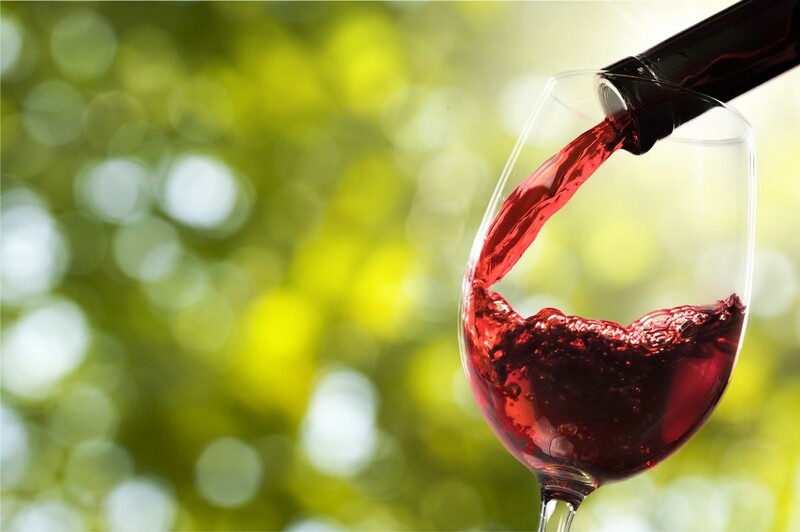 It’s the evaporating alcohol in your glass of wine that carries the aroma of wine to your senses. You need your nose to taste. If you haven’t already tried it, pinch your nose, and take a sip of wine. You’ll taste practically nothing at all. Ah, so the higher the alcohol content, the greater the range of the grape’s personality you should taste, right? Well, not really. If the yeast consumes all or a high percentage of the sugars before it dies, the higher alcohol content can stifle a wine’s “bouquet.” It’s a fancy way of saying that the fruity aromas of the grape are diminished. And that will certainly alter the taste. To some extent, the alcohol content will also affect a wine’s viscosity—which is the gatekeeper for the balance between acidity and sweetness. You’ve got to give the customer what they want, and they’re telling winemakers they want sweeter, bolder tastes. So, winemakers are allowing their grapes to stay on the vine and ripen longer than in the past. The impressive performance requires a bigger contribution from the supporting cast. Generally, the bolder and sweeter the taste, the higher the alcohol content. The levels aren’t massive swings, however. Winemakers tend to agree that the ideal alcohol content for wine averages about 13.6%. California Cabernet sauvignon grapes will generate an alcohol content between 12.5% and 15%. A Riesling, on the other hand, can generate an alcohol content as low as 7%. Is there a rule of thumb you can apply to alcohol content and the way it will affect the way wine tastes? The higher the alcohol level, the bolder the flavor. Thus … if Johnny Depp were a wine, he’d likely have a high alcohol content. There’s nothing subtle about him. Corkscrews: What’s the Best Type? They don’t come any more basic than this kind of corkscrew. 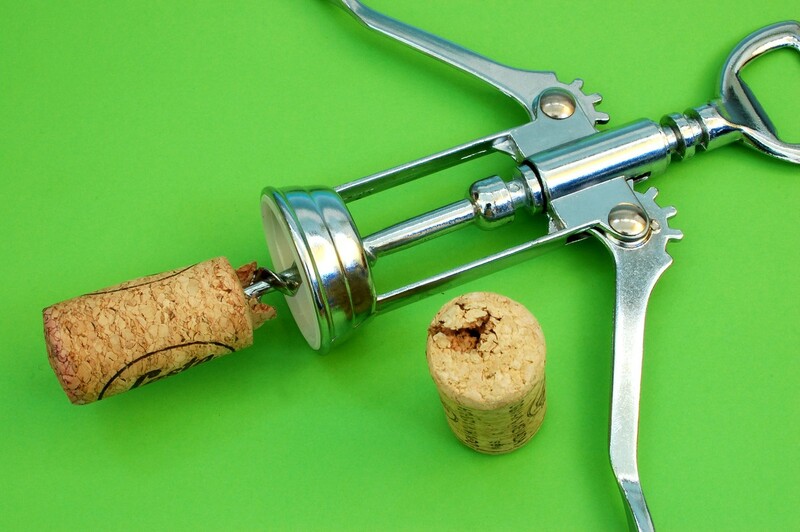 While inexpensive, they require a certain amount of strength to get the cork out, which can make them a little difficult to use. The butterfly corkscrew is probably the most common one available, and odds are good that you have one in your home right now. They are mostly easy to use, but not all of them are the same, so it’s important to find a good one – all-metal is obviously more durable than many which have plastic components. Bunny ears corkscrews are also easy to use, but they’re not cheap. They are also somewhat sizable, so don’t expect them to fit nicely in an average drawer like the ones above. Speaking of a big corkscrew, a table top variety is downright huge in comparison to the others on this list. 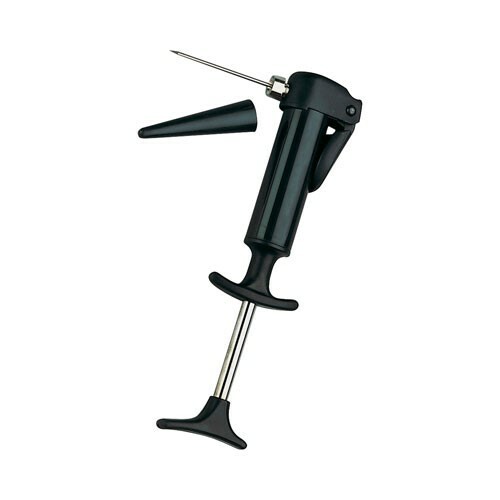 Used in restaurants, this isn’t necessarily a wine opener that an individual needs to have. But if you’re a serious wine drinker – and you want to add an interesting piece to your home décor – this may be a good option. 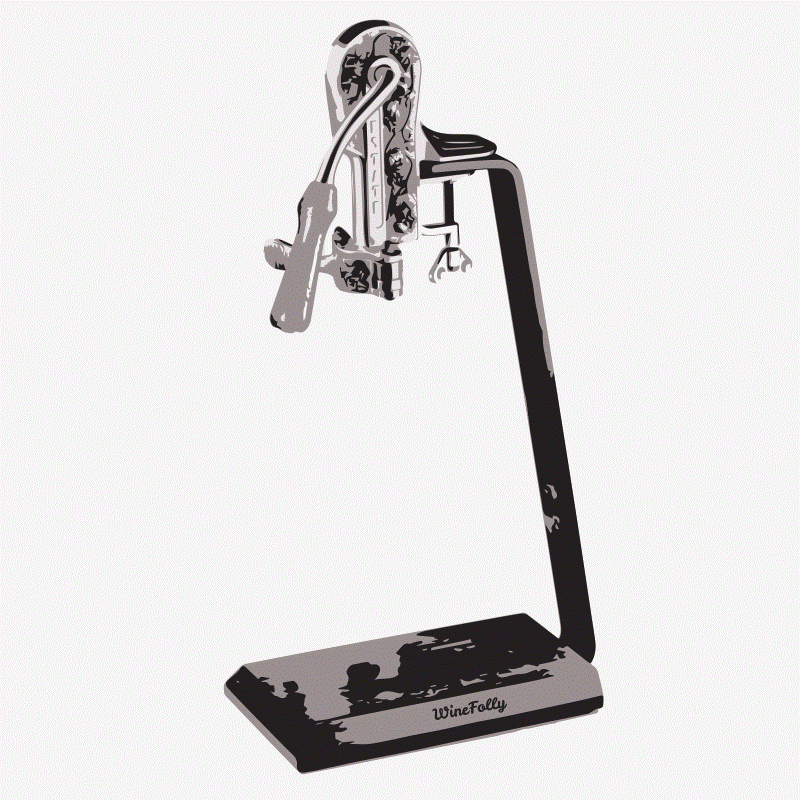 If you just have difficulty with regular corkscrews, an electric version might be the perfect one to go with. Very easy to use, and they also generally aren’t too expensive. 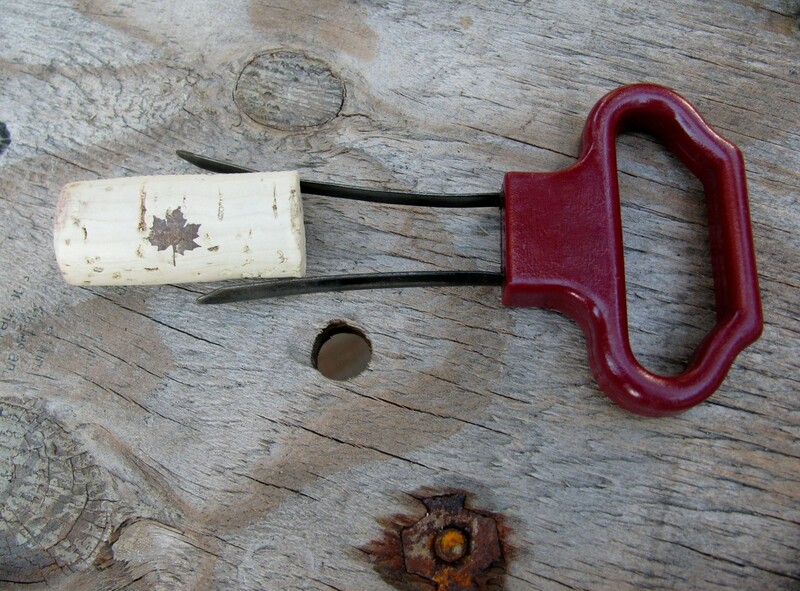 Though more of a cork puller than a corkscrew, the two-pronged variety is meant for older bottles with natural cork. 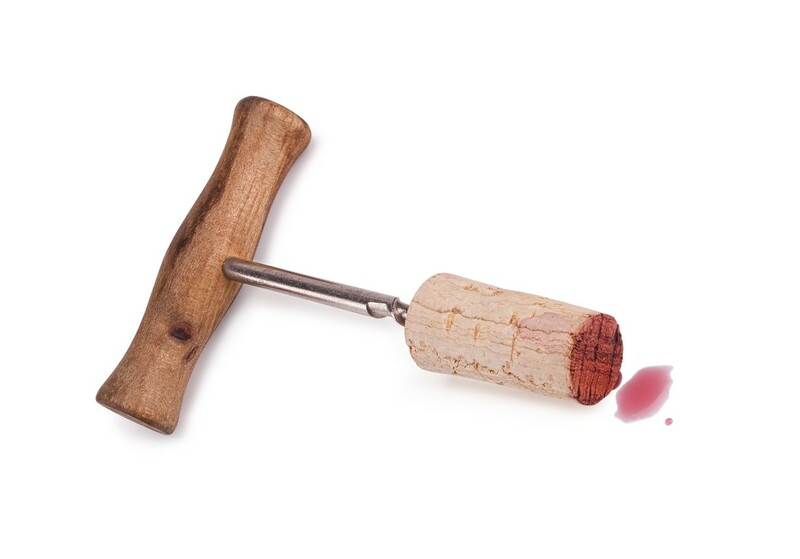 It is designed to remove the cork without damaging it. 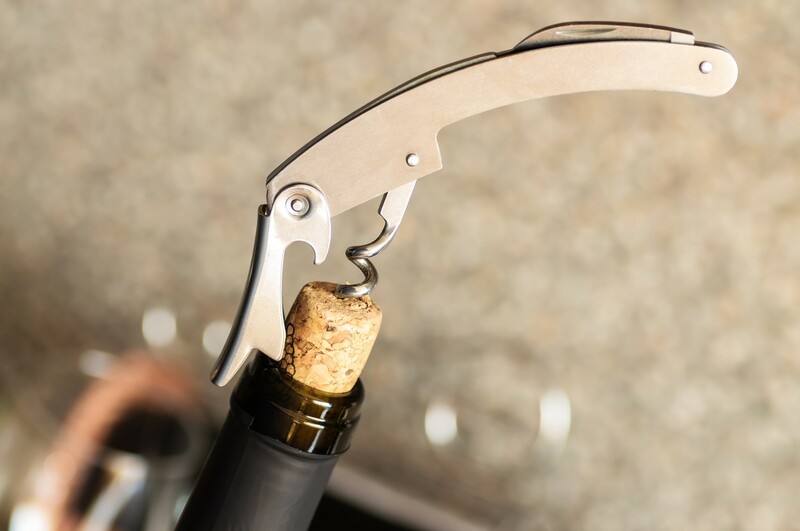 This is another wine opener that doesn’t actually use a corkscrew, but it will get the job done. 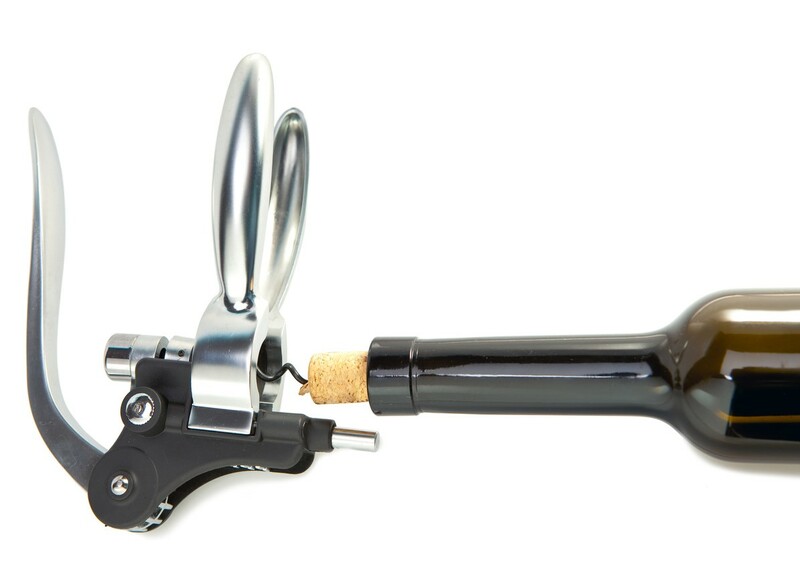 It utilizes a needle and air pressure to get the cork out. 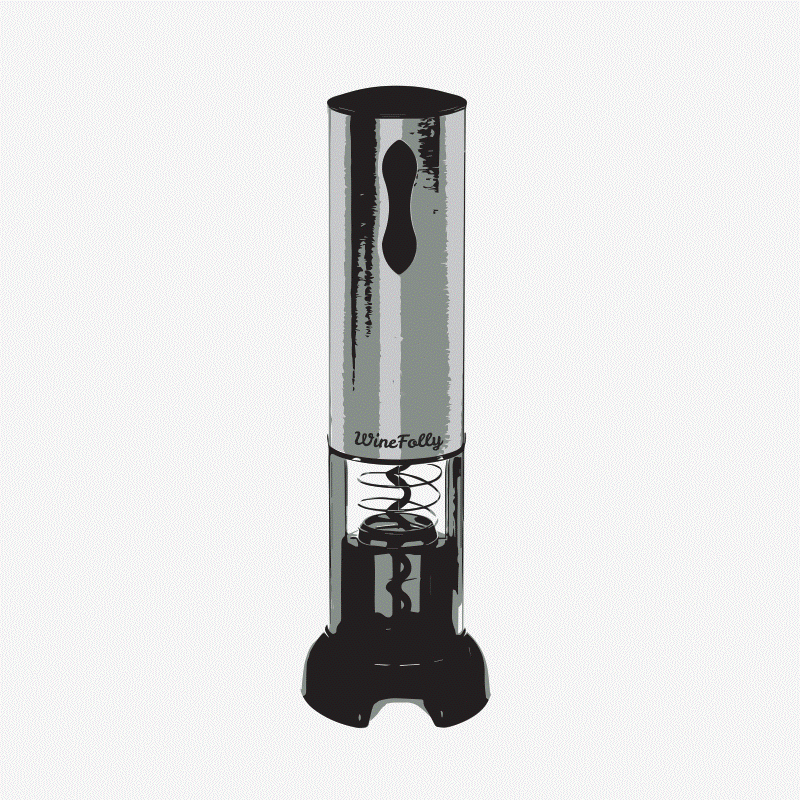 Portable and easy to use, the waiter’s friend corkscrew is a great choice. There are many different types available and prices can vary significantly, but even the less expensive ones are good. They do take some skill to operate, but their portability and versatility drive their popularity among food service professionals. Unless you have superhuman abilities, you probably won’t be able to yank a cork out of a bottle without some sort of instrument. You can however, twist off a screw cap. Sometimes the best wine doesn’t require any sort of corkscrew. When thinking about corkscrews, there’s really only one thing to determine: Will it get the cork out so you can drink? If the answer is yes, it probably doesn’t matter how basic or extravagant it is. The important thing is finding a wine worth pulling a cork for. This is where Orange Coast Winery comes in. We make wines that rival some of the best in the world. And when you come see us, we’ll take care of the corks for you! By the Numbers: Who’s Drinking the Most Wine These Days? Anyone connected with the wine industry can rest assured that wine is not going anywhere. In fact, sales have risen in the last few years, to the tune of $32 billion spent annually. There are basically two words to remember when it comes to wine drinking trends: Millennials and Women. Part of the growth has to do with the fact that the youngest Millennials are now finally over the legal drinking age of 21. That means the entire generation is free to indulge when they want. Millennials also seem to have more expensive taste, as 17% have paid over $20 for a bottle of wine. Take a look at your Facebook or Instagram feed and notice of all the memes having to do with wine. You might also notice that many of them are posted or shared by women. That’s because women drink more wine than men, often by a wide margin. If you want to drill down further, younger millennial women are the top trend in wine consumption. In fact, two-thirds of high-frequency wine drinkers under age 30 are women, according to a 2015 study. 51% of women age 21-24 and 38% of total women say this is important. 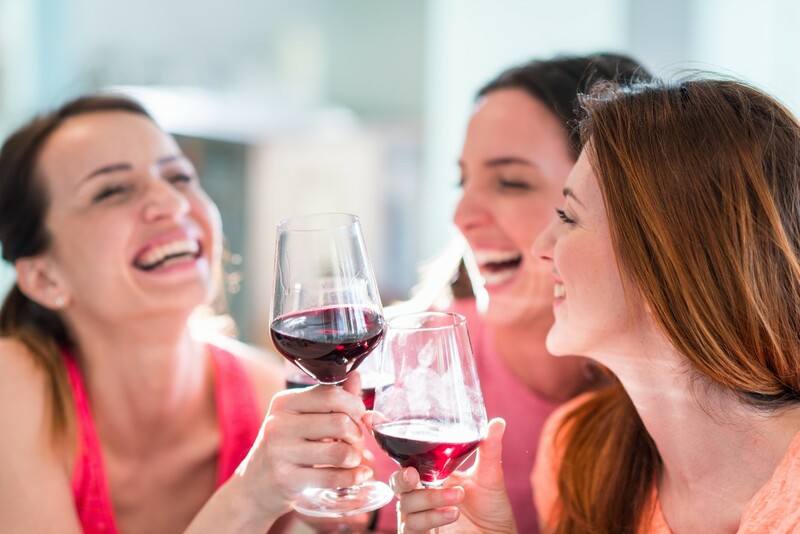 Based on the new findings, it’s clear that wine is here to stay and that millennials – especially millennial women – are the driving force in its rising popularity. Regardless of trends, Orange Coast Winery sees wine lovers in every generation, gender, and just about every other demographic. Simply put, the love of a great wine is universal. 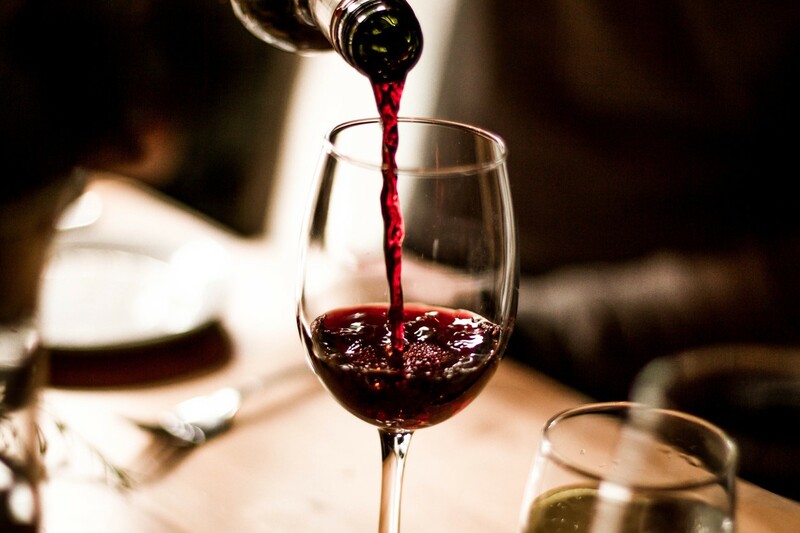 To find the perfect wine for your next dinner party or event, visit Orange Coast Winery (online or in-person) and review our selection of fine wines for every price range and palate.